John1:16 -17 Indeed, we have all received grace after grace from His fullness, ... grace and truth came through Jesus Christ. CAJ’s EAL (English as an Additional Language) department facilitates support for students’ learning across the curriculum and grades as they acquire English. In recent years, English lessons have also been enjoyed by parents. All CAJ teachers, while revealing God’s truth in what they teach, consider the best ways to make their subject content accessible to all learners, including those still learning English. Additionally, with co-teaching arrangements in selected Elementary and Middle School classes, and separate EAL classes from Elementary through High School, EAL students are able to develop their English skills in all their subjects while they are learning the subject content. Collaboration with subject teachers, co-teachers and EAL teachers is key to supporting these English language learners to succeed. In the early stages, learning in English may seem an insurmountable feat to some EAL students. They are being asked to develop knowledge and skills in all the subject areas at their grade level in a language which is not their first, and may indeed be one of many they aspire to master. Their situation allows them to develop diligence, perseverance and determination to achieve their goals, and to recognize the value of encouraging others in their challenging pursuits. As they progress, and begin to realize their potential as a child of God, students tend to achieve much more than they ever imagined they could when they first began their journey learning in English. 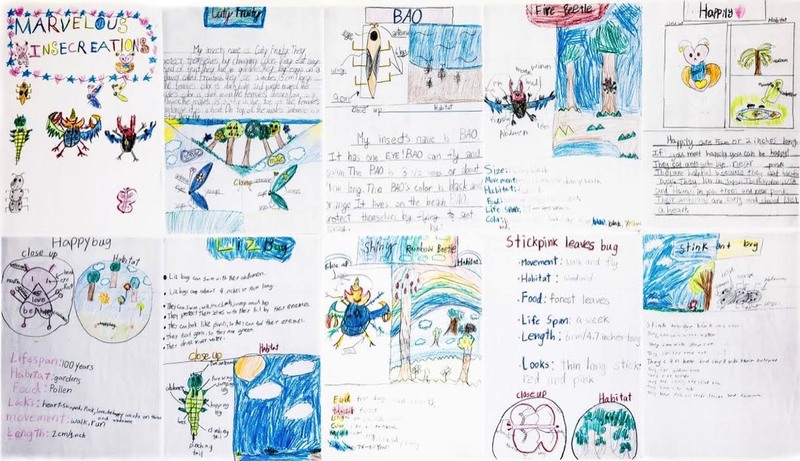 Picture caption: 3rd grade EAL students display their knowledge of insects, strategies for effective informative and creative writing, and presentation skills in their “Insecreations” pieces. Throughout the Bible, God teaches us that all forms of communication are important to Him. He communicates with us in many ways and expects his followers to communicate with each other, and to reach out to others, in truth and in love. Considering the multitude of obstacles that may hinder our communication - different languages and cultures, our reserved nature, the fear of being misinterpreted or offensive - we certainly must rely on God’s grace to be effective communicators. Kathryn Lewis, the EAL Coordinator, began serving at CAJ in 2004 in the Elementary division. She has been a part of teaching EAL students since then and coordinating the EAL program at some level since 2005. Seeing students become proficient in learning and communicating in more than one language continues to amaze and inspire her.